1 image. Award to Ludlow (Diebetes Association), 1 July 1959. 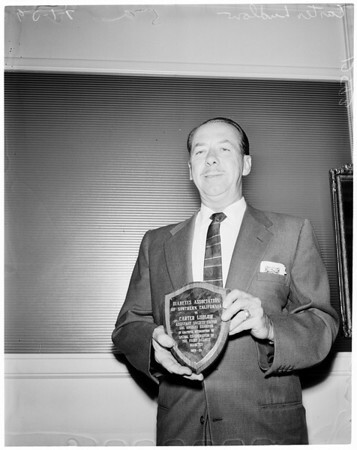 Carter Ludlow (with plaque).